October 14, 1992: The Beginning of Pirates Baseball Misery… Can We Finally See the Light??? 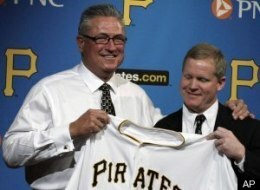 The Pittsburgh Pirates have been the worst franchise in professional sports since October 14, 1992. 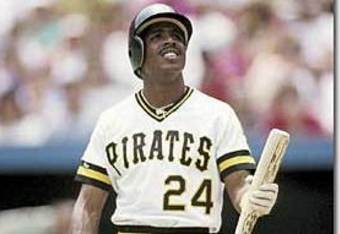 I remember the day like it was yesterday as my beloved Bucs squandered their last legitimate chance at a World Series title to the much hated Atlanta Braves… Damn I still hate that damn Tomahawk Chop and the endless shots of Ted Turner and Jane Fonda… I think I just threw up a bit… Sends chills down my spine. Sure I can sit here and rehash the events of that ninth inning when I thought Doug Drabek would continue his dominance of the Braves lineup, or the hope that the rookie, Tim Wakefield (yes it was that long ago) would replace him and send the Bucs to the promise land only to see the replacement being Stan Belinda… It sickens me to think of still today. Hell, everyone knew what Stan was going to be throwing fastball after fastball. Leading 2-0 heading into the bottom of the ninth in Atlanta Fulton County Stadium, I knew that my Bucs would be headed to the Series, but unfortunately the bottom of the ninth needed to be played… That was the beginning of the end. It all started with a Terry Pendleton double, no worries, it’s a two run game, Pendleton doesn’t matter at second… Then comes wife beater (he beat Halle Berry, really???) David Justicewith a weak ground ball to Jose “Chico” Lind, one of the best defensive second basemen of the early 90’s and he proceeds to boot the ball allowing Pendleton to third and Justice to first… Sickening to watch, why “Chico” why??? I think that was the only error I’ve ever seen him commit… Next to the plate is everyone’s favorite Bucco, Sid Bream, why everyone’s favorite I’ll never know, I can’t stand the guy because of this game, well Drabek proceeds to walk Sid on four straight and load the bases. The error and four pitch walk meant the end of Drabek and the rise of Belinda as we all clamored for Wakefield who had been masterful of the Braves throughout the Series. at-bats through the September call-ups… This man was placed in the biggest situation in the early Braves dynasty history… Francisco Cabrera, I had to say it again because it just sounds so unreal (all of 351 Major League at-bats over 5 seasons)… Well, Cabrera sees a few pitches from Belinda who falls behind in the count and then grooves a fastball right down the heart of the plate and Cabrera smashes a line drive to left… Justice scores easily from third as Bream rounds third Bonds fields the ball and throws home…. (a man with bum knees is racing 2nd to home on a gold glove left-fielder, the best in the game at the time, I mean seriously, he’s toast right…?) the throw comes to the left of the plate where Mike “Spanky” LaValliere fields the throw cleanly and makes a sweeping tag a at the gimpy, sliding Bream and safe is the call… Atlanta 3, Pittsburgh 2!!! I remember the lasting image of that game being both Bonds and Andy Van Slyke alone in the Atlanta outfield in disbelief at what had just happened, it was the end of three of the best summers of my childhood. That ’92 team was my favorite of all the teams because it was the truest team of the the three NL East Champions. I really loved those Pirates teams of the early 90’s, but they also represent the most horrible sports moment of my entire life… I was 13 years old that day and I remember it like it was yesterday, it brought tears to my eyes and the end of an era to baseball in Pittsburgh. It’s been 18 years since there was any sort of excitement surrounding the Black & Gold ball-club at the confluence of the Allegheny, Monongahela and Ohio Rivers… Since that day, the Bucs have built the most beautiful stadium in the big leagues (PNC Park), but have yet to put anything worthwhile on the field… So now that Jim Leyland, Gene Lamont, Lloyd McClendon, Pete Mackanin, JimTracy & John Russel have all gone down with the ever sinking ship, will Clint Hurdle be the skipper to turn things around and reverse the curse of BONDS??? This entry was posted in Baseball and tagged 1992 NLCS, Andy Van Slyke, Atlanta Braves, Atlanta Fulton County Stadium, Barry Bonds, Brian Hunter, Clint Hurdle, Damon Berryhill, David Justice, Doug Drabek, Francisco Cabrera, Jose Lind, Mike LaValliere, Pittsburgh Pirates, PNC Park, Ron Gant, Sid Bream, Stan Belinda, Terry Pendleton, Tim Wakefield. Bookmark the permalink.